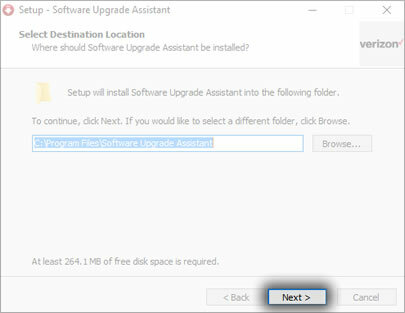 This shows you how to install the Motorola Upgrade Assistant on your PC or Mac if the Over the Air upgrade option on your phone fails. 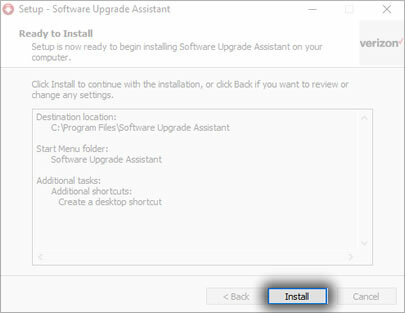 If the update fails to install, refer to the Software Update - Software Upgrade / Repair Assistant para obtener ayuda. The most recent phone software is available on the SUA/SRA tool a week after a new software update. During this time, the SUA/SRA is unavailable. Use this information for devices manufactured after 8/20/2013. 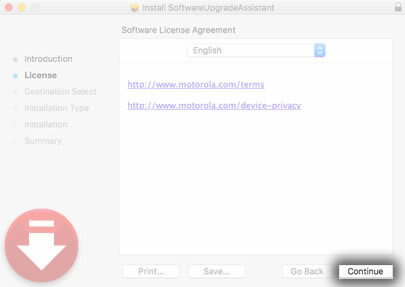 For older Motorola devices, refer to Configuración inicial - Software Upgrade Assistant. Windows 7 and later or Mac OS 10.6 and later versions. Up to 5GB of available computer storage (to store the Update File), USB cable and Internet connection. 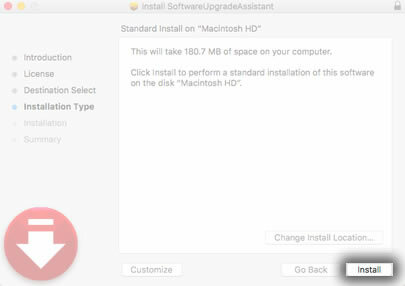 Installation can also be completed from the Windows o Macintosh download sites. Turn your phone on, unlock it and connect it to your PC using a USB cable. An AutoPlay pop-up should open automatically on the computer. Once connected, if available, ensure the CD-ROM feature is enabled on the device. If Autoplay doesn't pop up, the software can be downloaded at www.motorola.com/verizonsoftwareupdatewin. From the device, swipe down on the status bar (located at the top). Tap the USB connection entry. 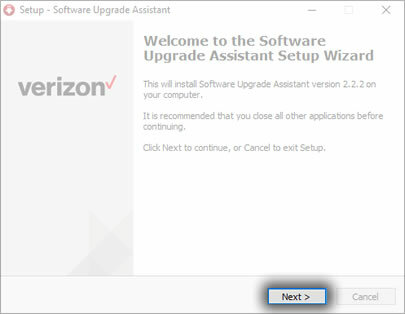 From the AutoPlay pop up window, click Install Verizon Software Upgrade Assistant for Motorola. If the AutoPlay pop up window is not available, open Windows Explorer then click CD Drive Installer and double-click the setup.exe file to launch. Once the download process is complete, the Assistant checks for software updates. 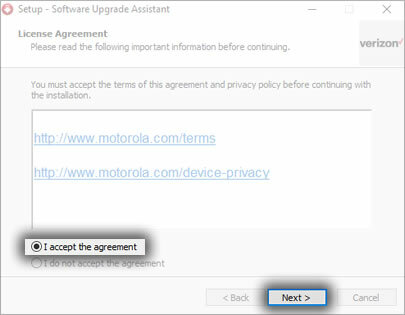 To continue, review Terms and Conditions, click I accept the agreement then click Next. 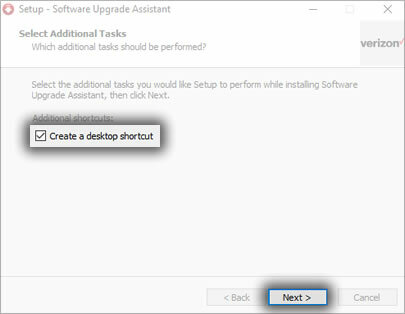 On the Select Additional Tasks screen, click the Create a desktop shortcut checkbox if desired, then click Next. 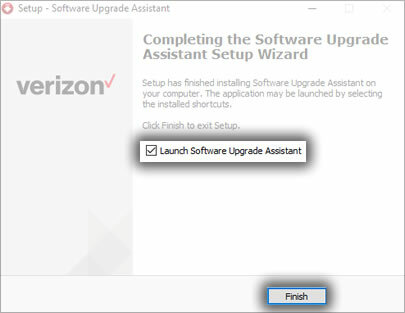 When the installation process is complete, click the "Launch Software Upgrade Assistant" checkbox then click Finish. 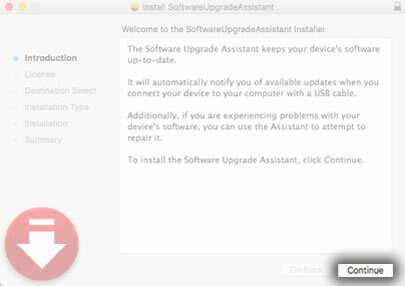 El Software Update - Software Upgrade / Repair Assistant launches automatically. Follow the instructions to complete the software update. If Autoplay doesn't pop up, the software can be downloaded at www.motorola.com/verizonsoftwareupdatemac. 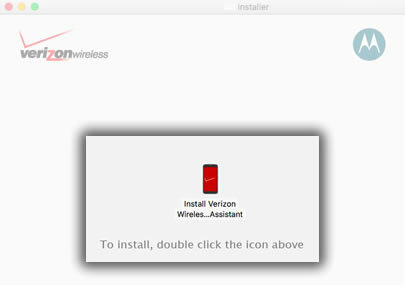 From the Installer screen, double-click the Install Verizon Wireless...Assistant icon. If a password is setup on the computer, enter the password then click Install Software. 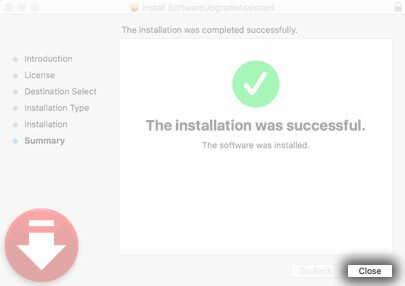 When the installation process is complete, click Close.